Mammals and many species of birds and fish are among evolution's "winners," while crocodiles, alligators and a reptile cousin of snakes and lizards known as the tuatara are among the losers, according to new research by UCLA scientists and colleagues. "Our results indicate that mammals are special," said Michael Alfaro, a UCLA assistant professor of ecology and evolutionary biology and lead author of the research. The study, published July 24 in the early online edition of Proceedings of the National Academy of Sciences, also shows that new species emerge nearly as often as they die off. Alfaro and his colleagues analyzed DNA sequences and fossils from 47 major vertebrate groups and used a computational approach to calculate whether the "species richness" of each group was exceptionally high or low. The research allows scientists to calculate for the first time which animal lineages have exceptional rates of success. Among the evolutionary winners are most modern birds, including the songbirds, parrots, doves, eagles, hummingbirds and pigeons; a group that includes most mammals; and a group of fish that includes most of the fish that live on coral reefs, said Alfaro, an evolutionary biologist. A group with the scientific name Boreoeutheria, which consists of many mammals, has diversified about seven times faster than scientists would have expected, beginning about 110 million years ago, Alfaro and his colleagues calculated. The group includes primates and carnivores, as well as bats and rodents. Pouched mammals, such as kangaroos, are not as richly varied as other mammals, Alfaro said. Modern birds have diversified about nine times faster than expected, starting about 103 million years ago, and the group of fish that live on coral reefs has diversified about eight times faster than expected, he said. Who are the evolutionary losers? 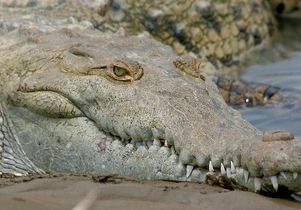 Crocodiles and alligators are nearly 250 million years old yet have diversified into only 23 species, Alfaro said. They are diversifying a staggering 1,000 times slower than would have been expected. "Their species richness is so low, given how old they are," he said. The tuatara, which lives in New Zealand and resembles lizards — although it is actually a distant cousin — has only two species. "In the same period of time that produced more than 8,000 species of snakes and lizards, there were only two species of tuatara," Alfaro said. Why are there not thousands of species of tuataras? "That is one of the big mysteries about biodiversity," Alfaro said. "Why these evolutionary losers are still around is a very hard thing to explain. They have been drawing inside straights for hundreds of millions of years. It's a real mystery to biologists how there can be any tuataras, given their low rate of speciation. They must have something working for them that has allowed them to persist. In species richness, these are losers, but in another sense, this highlights how unique they are. There are incredibly disparate patterns of species richness." Tuataras were a bit more diverse in their heyday; there may have been a few dozen species of them, most of which have become extinct, Alfaro said. In contrast, there are more than 9,000 bird species, more than 5,400 mammal species, approximately 5,500 frog species, some 3,000 snake species and 5,200 lizard species, Alfaro said. The number of frog species, although it sounds high, is about what Alfaro would expect, given how old they are — approximately 250 million years old. "Our analysis suggests we should not be surprised to see a group with that many species in that amount of time," Alfaro said. There are almost 60,000 species of jawed vertebrates. Alfaro and his colleagues report evidence for exceptional diversification rates in nine taxonomic groups of jawed vertebrates. Interestingly, their findings do not coincide with traditional scientific explanations for why there are so many mammals, birds and fish. "The timing of the rate increases does not correspond to the appearance of key characteristics that have been invoked to explain the evolutionary success of these groups, such as hair on mammals or mammals' well-coordinated chewing ability or feathers on birds," Alfaro said. "Our results suggest that something more recent is the cause of the biodiversity. It may be that something more subtle explains the evolutionary success of mammals, birds and fish. We need to look for new explanations." Co-authors on the PNAS paper are Luke Harmon, a professor of biological sciences at the University of Idaho; Francesco Santini, a UCLA postdoctoral scholar in Alfaro's laboratory; Chad Brock, a graduate student of biology at Washington State University; Hugo Alamillo, a graduate student of biology at Washington State University; Alex Dornburg, a former undergraduate in Alfaro's laboratory, now a graduate student at Yale University; Daniel Rabosky, a graduate student of biology at Cornell University; and Giorgio Carnevale, a postdoctoral scholar at Italy's University of Pisa. The research is federally funded by the National Science Foundation. Alfaro's laboratory also studies why some groups of animals have great diversity in their shapes and others do not, even if there are many species. He and his colleagues use DNA sequencing to tease apart evolutionary relationships, analyze the fossil record and conduct sophisticated statistical analysis. "We are interested in understanding the causes of biodiversity," Alfaro said. "We are trying to understand what explains the staggering diversity of reef fishes and other vertebrates." "Our analysis can highlight how much higher extinction rates are in the present, compared with the historical rates," he said. 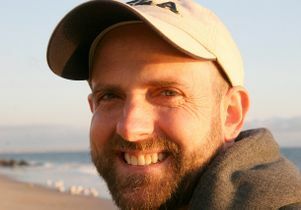 For more about Alfaro's research, visit his website at http://pandorasboxfish.squarespace.com.